An important new archaeological site was unveiled in Rome today. Located inside the area that belongs to the Basilica of St Paul’s Outside the Walls and its adjoining Benedictine Monastery, extensive digs have revealed what used to be the pumpkin patch tended to by the Benedictine Monks, and show that what today is a complex made up of the Basilica, Bell Tower, Cloister and adjoining Monastery, was once a much larger settlement with a sanctuary for the poor, a well, tower and housing for some 200 people. 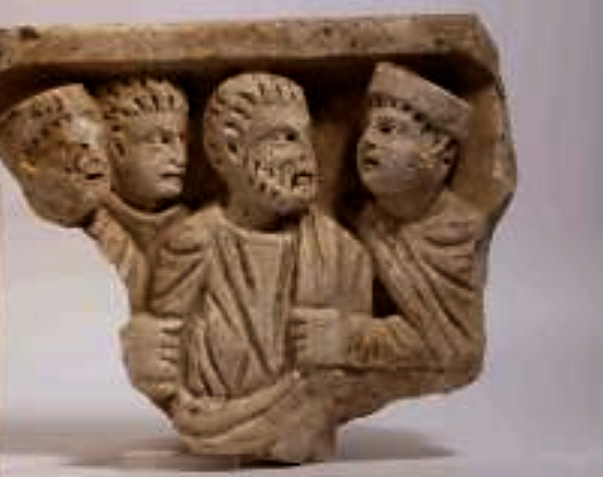 While the meticulous work of archaeologists has revealed the layout of the ground and the kind of buildings that surrounded the ancient Basilica of St Paul’s outside the Walls, more than 15,000 ceramic fragments, sculptures and coins give an idea of what the people of the time and their everyday lives, were like. After a brief welcome speech by Cardinal James Harvey, Archpriest of the Basilica of St Paul, members of the Vatican Museums-backed team who have been collaborating with members of the Pontifical Institute of Christian Archaeology and of Rome’s La Sapienza University, spoke about the importance of the new archaeological site. Six years of hard work on the part of a team of archaeologists, engineers, historians and experts in restoration has revealed what had been a missing link in the history of the city of Rome. In particular it shines the light on the time of Pope John VIII whose chief aim during his pontificate was to defend the Roman state and the authority of the Holy See at Rome from the Saracens. 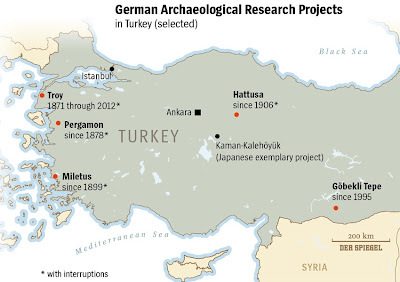 The dig season has begun but the Turkish government in Ankara has still not granted annual permits to foreign archaeologists, especially Germans. There is concern that the reason for the delay has to do with politics and nationalism. 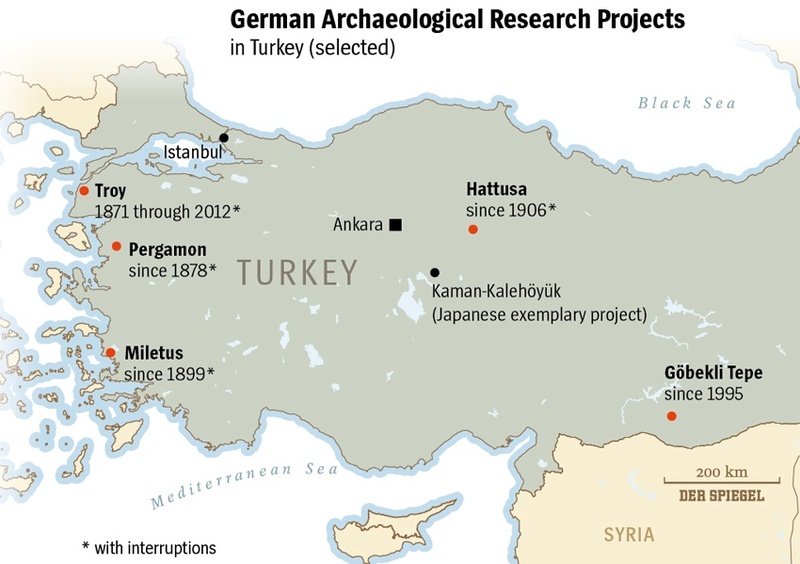 Then the Turkish minister of Culture and Tourism, Ömer Çelik, told SPIEGEL that some German-led excavations in Turkey are sloppy. “There are many that simply leave sites however they happen to look at the end of an excavation, disorderly and without having been restored in any way – a deserted landscape,” he said. EAST Oxford residents will soon get a glimpse into what was happening in their gardens 800 years ago. And if past finds are anything to go by the picture may not be all rosy. Archeox, the East Oxford archaeology and history project, is carrying out two mini-excavations in Temple Cowley on Saturday and Sunday. The team is inviting residents in Temple Road, St Christopher’s Place, Don Bosco Close, Junction Road and Crescent Road to help them uncover the secrets buried in their gardens. 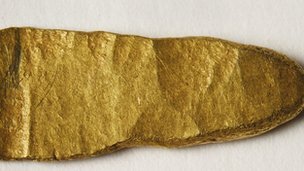 A rare piece of Viking gold dating back more than a thousand years was discovered by an amateur with a metal detector in Northern Ireland, it was revealed. 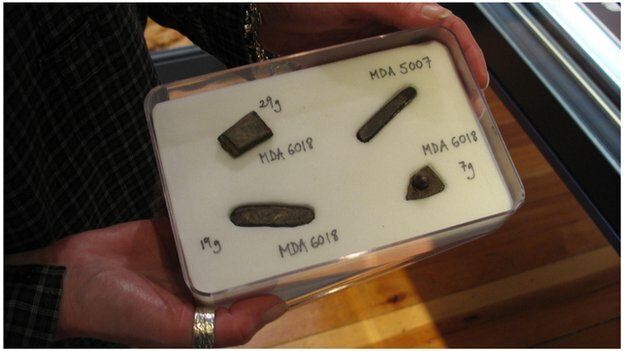 Tom Crawford was pursuing his hobby in farmland in Co Down last year when he found the small but precious ingot, which may have been used as currency during the 9th and 10th centuries. 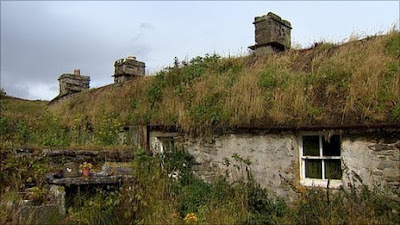 It is one of only a few nuggets known from Ireland, experts said. 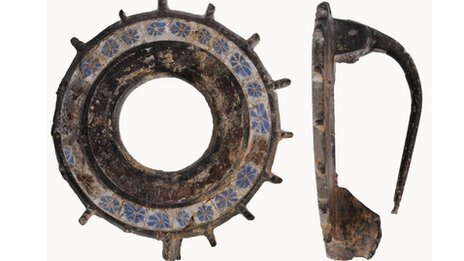 Mr Crawford also uncovered a tiny silver ring brooch with unusual floral imprints, probably used for decoration by a man or woman during the Medieval period, a short distance away. "It is all part of the big jigsaw of the history of this country," he told a Belfast inquest convened to establish if the find was treasure. A treasure hunter armed with a metal detector has unearthed a rare piece of Viking gold that is more than 1,000 years old. Tom Crawford was sweeping farmland in County Down last year when he found the small ingot which may have been used as currency during the 9th and 10th centuries. Experts said only a few such nuggets had been found in Ireland. Close by, he found a tiny silver ring brooch dating from medieval times. 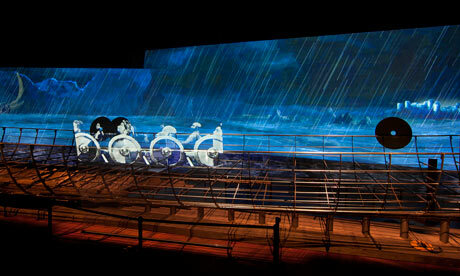 Win one of 5 pairs of tickets to the new Mary Rose Museum! Portsmouth Historic Dockyard is giving away 5 pairs of adult tickets to the new Mary Rose Museum, with unlimited entry for one year. The exciting, new £27 million Mary Rose Museum opened its doors to visitors on Friday 31st May 2013. Located just metres from Nelson’s flagship, HMS Victory and the ships of the modern Royal Navy, the new museum provides one of the most significant insights into Tudor life in the world and creates the new centrepiece to Portsmouth Historic Dockyard. The Tudor ship that captured the world’s imagination when she was raised from the seabed in 1982 is the only sixteenth century warship on display anywhere in the world and the brand new Museum built around her reunites her with many of her 19,000 artefacts and crew. Three pieces of Viking silver dating back 1,000 years, discovered using a metal detector in the Isle of Man, have been declared treasure trove. An inquest heard the three items, found by Seth Crowe in a field in Andreas in April, date back to between 930 and 1080 AD. Archaeologists believe the two silver ingots and brooch fragment contain more than 60% silver. Coroner of Inquests John Needham made the ruling at Douglas Courthouse. Mr Crowe, 39, made the discovery having sought the permission of the landowner Leslie Faragher, some years ago. A Bronze Age standing stone in the Brecon Beacons National Park has been vandalised. 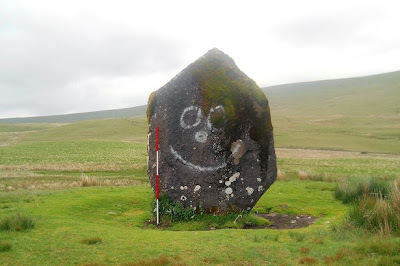 The Maen Llia standing stone, a Scheduled Ancient Monument situated between Heol Senni and Ystradfellte, has been defaced, with graffiti daubed on the protected stone. The iconic 3.7 metre tall standing stone attracts visitors from around the world and is recognised as a site of national archaeological importance. It is likely that the stone was erected in the late Neolithic or early Bronze Age between 2500 and 1800 BC. Brecon Beacons National Park Authority is currently working with Cadw, the Welsh Government’s historic environment service, and landowners to arrange for the graffiti to be sensitively removed. 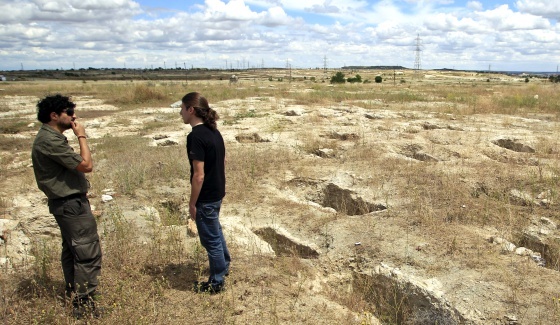 The cemetery was partially unearthed in 2008, but the delineation and archaeological study of the graves was only recently completed, according to the Spanish news agency, EFE. The archaeologist leading the excavations, Arturo Ruiz Taboada, told EFE earlier this month that the people buried in the 107 Jewish tombs were “well preserved” and deposited unusually deep in the ground, some over 9 feet from ground level. The identity of many of those buried at the site remains unknown. The deep burial may have been to ensure that the Jews were not buried with the remains of others, Jews and non-Jews alike, who had been buried in the area, Taboada told the news agency. Horse Fossil Yields Astonishingly Old Genome—Are Similarly Ancient Human Genomes Next? Researchers have recovered DNA from a nearly 700,000-year-old horse fossil and assembled a draft of the animal’s genome from it. It is the oldest complete genome to date by a long shot–hundreds of thousands of years older than the previous record holder, which came from an archaic human that lived around 80,000 years ago. The genome elucidates the evolution of modern horses and their relatives, and raises the question of whether scientists might someday be able to obtain similarly ancient genomes of human ancestors. Ludovic Orlando of the University of Copenhagen and his colleagues extracted the DNA from a foot bone found at the site of Thistle Creek in Canada’s Yukon Territory in permafrost dating to between 560,000 and 780,000 years ago, which falls within the so-called early Middle Pleistocene time period. They then mapped the fragments of DNA they obtained against the genome of a modern horse to piece together a draft of the ancient horse’s genome. 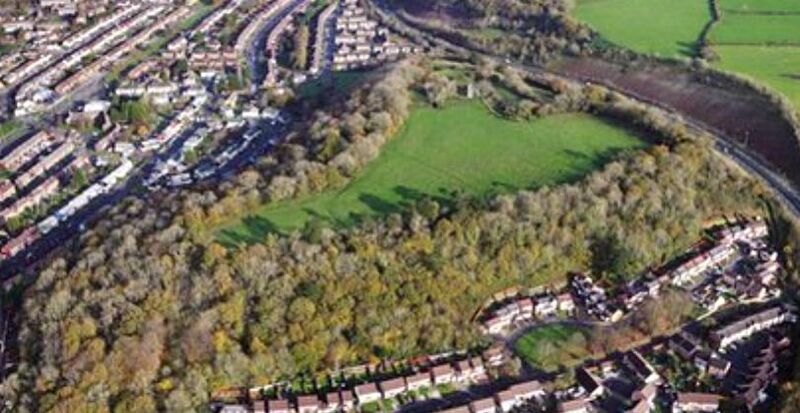 Archaeologists are starting a dig in Cardiff at what is being classed as a significant Iron Age hill fort. Limited trial excavations at the fort in Ely, next to a link road from the M4 in the west of the city, took place last year. Evidence of Iron Age pottery was found along with Bronze Age and Roman activity as well as Norman ringwork. The Norman fort is next to a 13th Century church which is now a fragile ruin. It is believed the fort was once a stronghold of the powerful Silurian tribe who inhabited this part of Wales before the arrival of the Romans. Dr Dave Wyatt, a lecturer in early medieval history and community outreach at Cardiff University, is behind the project. 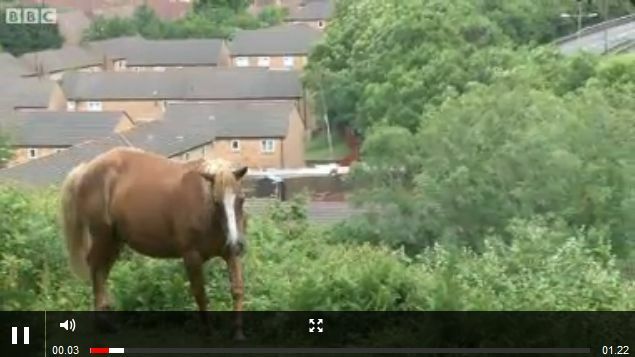 "People have know about it for quite a long time but what's interesting is that no-ones ever thought to research it," he told BBC Radio Wales. Early humans evolved to throw about two millions years ago, according to new research. Anatomy changes found in the extinct species Homo erectus allowed this ability to evolve. 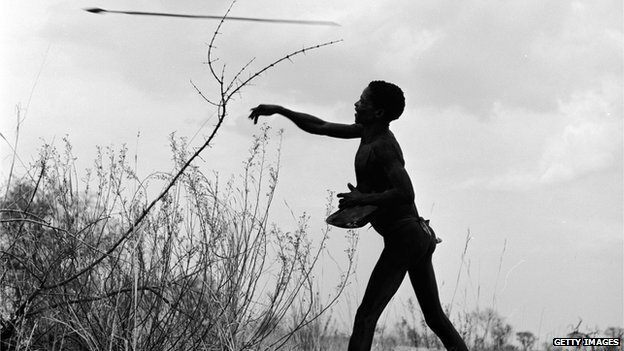 Archaeological evidence suggests hunting intensified during this time, which scientists now attribute to the ability to throw. Researchers tell the journal Nature that the ability helped early hunters to evolve and migrate around the globe. The ability to throw at very high speeds is unique to humans. We can throw much faster than our closest living relative - the chimpanzee - which can only reach speeds of 20mph compared to 90mph that many professional athletes can reach. To investigate the evolutionary development of the ability to throw, scientists first had to understand the biomechanics of throwing today. It is with great sadness that we have learned that Mick Aston passed away on 24 June. 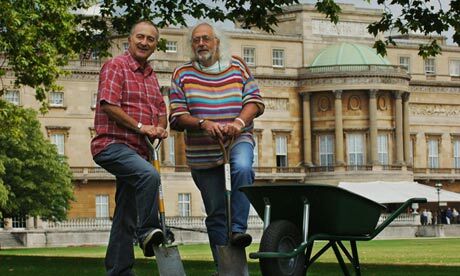 Familiar to millions for his work on Time Team, Mick’s passion for archaeology and gentle good humour inspired countless viewers to follow in his footsteps. A longstanding friend ofCurrent Archaeology, we were thrilled when he started writing a column for us and were looking forward to following his fieldwork exploits in Winscombe for many years to come. Alas, it was not to be. I was lucky enough to meet Mick Aston last year when I interviewed him for Current Archaeology. Kind, welcoming and modest, he gave freely of his time, taking the time to guide me through not only his own archaeological journey, but also around his local village. As we wandered down winding footpaths he explained what map regression had taught him about their origins, and also warned me of the dangers of attempting to age hedgerows based on the variety of flora within. Where to begin? Mick reveals why the County Record Office should be the first port of call for any project investigating the local landscape. Maps, particularly early maps, are one of the most important sources for any local project similar to ours at Winscombe in Somerset. Most of these will be found in a County Record Office. 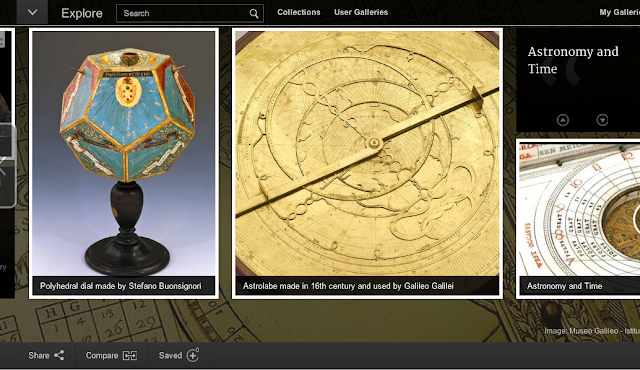 Indeed, it is hardly worth embarking on such a project if it turns out there are not enough – or even any – early maps. It will make the work extremely difficult. For very many parishes in this country, the earliest useful, detailed local map will be that compiled around 1840 by the tithe commissioners, and known as the ‘tithe map’. Following the Tithe Commutation Act of 1836, surveys of each parish were conducted to assess the value of land and hence the tithe paid on it. Incidentally, this also gives us landowners, tenants, land-use, acreage, and field names for each plot, and assessed value – a fantastic local source and the benchmark for starting any project. There is an ‘award’ or ‘apportionment’ with all this information, and usually a map. Frequently hand-drawn, coloured, and numbered, it is of paramount importance for any local project. Medieval churches which survived the “ravages” of the reformation might now have to be abandoned because European law is allowing them to be overrun with bats, the Church of England has warned. MPs have been told that “irreplaceable” treasures including frescoes which survived the waves of destruction in the 16th Century are now being destroyed by chemicals in bat droppings. Sir Tony Baldry, the Tory MP who represents the Church of England in the Commons, said that some buildings used for centuries are now in danger of becoming unsustainable as places of worship unless action is taken. He said that, while it was never the intention of those who drafted the European Habitats Directive, which bans interference with bat roosts, to render churches unusable, that is the result of the way it is currently being interpreted. The remains of a medieval house and cesspit that could date back to the time of the 13th Century Conwy Castle have been uncovered by workmen. 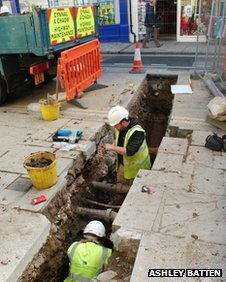 The remains of a road and other artefacts have also been found in Castle Street about 100 metres from the castle itself. Contractors working for Dwr Cymru Welsh Water made the find in May. Experts say the finds are "incredibly important" and could provide a new insight into medieval Conwy. Ashley Batten, senior planning archaeologist with the Gwynedd Archaeological Planning Service, said the remains could date from before the revolt against English forces, when it is thought that the entire town was burnt to the ground about 1401. 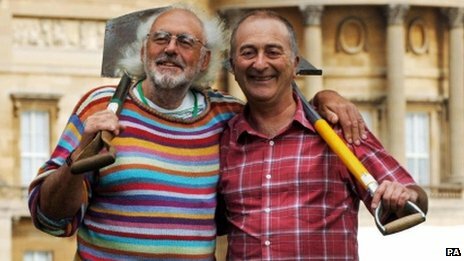 Mick Aston, who has died suddenly at the age of 66, was a leading academic archaeologist who attracted a large public following through the Channel 4 television programme Time Team. He was a popular success, in the sense that he made his subject understandable and enjoyable, but he was also well liked by viewers for his informal manner, forthright speech and genuine enthusiasm. His unkempt hair and beard, multicoloured sweaters and Black Country accent made him instantly recognisable. Mick had collaborated with the television producer Tim Taylor on various programmes, and in 1994 they devised a winning formula for Time Team. Each week, a group of researchers spent three days answering an archaeological question. They employed a variety of techniques, including documentary research, aerial observation, geophysical survey, planning of earthworks, field walking (for surface potsherds), re-enactment and small-scale excavation. The programmes worked because they challenged the audience by using a scientific method: a research question was posed, and evidence assembled to provide an answer. At the end of the programme, a solution to the problem was proposed. 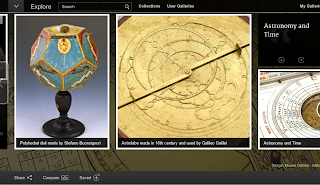 Viewers were drawn into the scholarly process as different interpretations were put forward and sometimes set aside in the light of discoveries. They enjoyed the debates and banter between the participants, and they relished disagreement. POPPLETON Ousebank Primary school in York is among the nominees for the 2013 Community Pride awards for creating an archaeological dig to help teach history. Staff hope it will help make lessons about the past more interactive, and help cultivate an interest in history. Teachers will bury historical objects and encourage children to find them and then make observations and ask questions. Estelle O’Hara, head teacher atPoppleton Ousebank, said: “We want to develop children’s enthusiasm by creating what we call ‘curriculum wows’. We decided to build a dig. It’s been an idea in our minds for some time. The 10-inch tall relic, which dates back to 1800 BC, was found in a mummy’s tomb and has been at the Manchester Museum for 80 years. 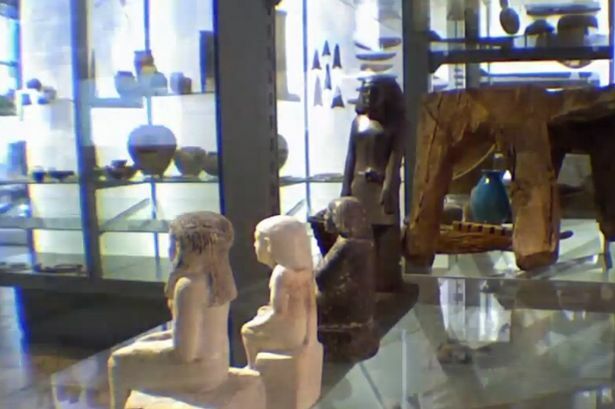 An ancient Egyptian statue has spooked museum bosses – after it mysteriously started to spin round in a display case. But in recent weeks, curators have been left scratching their heads after they kept finding it facing the wrong way. Experts decided to monitor the room on time-lapse video and were astonished to see it clearly show the statuette spinning 180 degrees – with nobody going near it. The statue of a man named Neb-Senu is seen to remain still at night but slowly rotate round during the day. Now scientists are trying to explain the phenomenon, with TV boffin Brian Cox among the experts being consulted. 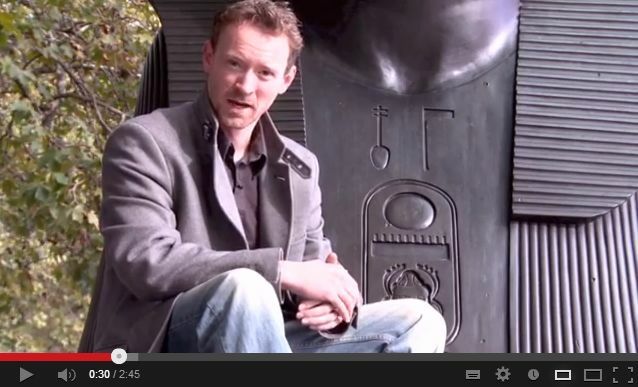 'Eye on the Needle' is a documentary about Cleopatra's Needle on London's Embankment. 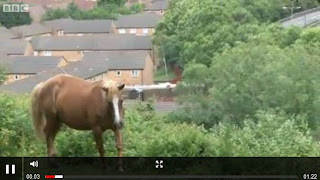 Currently in pre-production, the film is presented by Dr Paul Harrison and directed by Edward Scott-Clarke. This is a short film to compliment our sponsume page (www.sponsume.com/project/eye-needle), which we are using to raise funds for the film. 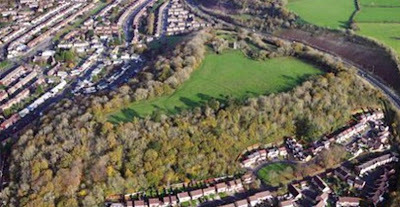 Archaeologists have begun the first dig at an Iron Age hill fort above the Caerau housing estate in Cardiff. Experts say it is one of the most significant of its kind in Europe, and re-writes history, proving the area was an important stronghold long before the Romans came. Nick Palit went to view the dig and spoke to Dr Oliver Davies from Cardiff University. 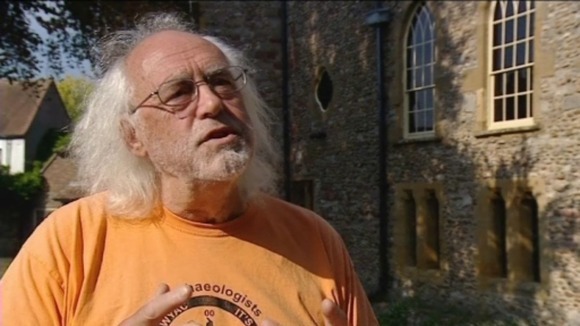 The TV archaeologist Mick Aston, who lived in Winscombe in Somerset has died aged 66. Professor Aston found fame with the Time Team programme and was known for his colourful jumpers. Colleagues said he had an effortless way of making archaeology accessible to people. "Mick was a seriously good mate and a seriously good archaeologist, a unique man. Everybody loved him, he just had a way with people. I cannot believe there was anybody who disliked him, he just had such a relaxed way". 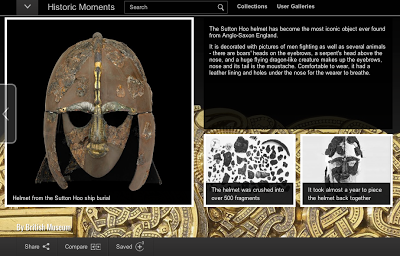 In 1939, just before the outbreak of the Second World War, an archaeologist named Basil Brown excavated the largest of 18 burial mounds in the grounds of a country house at Sutton Hoo in the east of England. What he discovered turned out to be a spectacular undisturbed burial. The Craw Stane stands in a field above Rhynie churchyard and is a Class I Pictish symbol stone. Ateam from the University of Aberdeen commenced digging at Rhynie, Aberdeenshire in Scotland – a site famous for its impressive collection of carved Pictish standing stones. 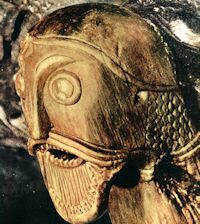 Knowledge of the Pictish kingdoms, which developed between the 5th and 11th centuries, is relatively poor with the standing stones some of the only relics remaining of the once powerful people. Rhynie boasts eight such stones, including the Craw Stone, which is thought to have been the centre point of an elaborate fortified settlement of the 5th-6th centuries AD. “Since 2011 Aberdeen and Chester universities have been uncovering dramatic evidence concerning the stones at Rhynie”, explained project leader Dr Gordon Noble of the University of Aberdeen. “Rhynie derives from ‘rhynnoid’, which means ‘a very royal place’, which is fitting considering what’s been uncovered there over the last few years. Archaeologists will next week begin the search for an elusive Roman fort believed to be located somewhere in the northeast of Scotland. Dr Birgitta Hoffmann, Co-Director of The Roman Gask Project, based at the University of Liverpool, will lead a team of experienced volunteers in their search for a Roman fort which is believed to exist, but has been ‘missing’ for almost 2,000 years. It’s not certain that a fort actually exists, but if it does, it is likely to lie somewhere between the last known (and most northerly) fort at Stracathro (Brechin) and the northeast coast. Locating the fort would be the first such discovery beyond the Antonine Wall in 30 years, and would form another piece of the Gask frontier. The Gask Ridge system was constructed sometime between 70 and 80 CE long before either Hadrian’s Wall (122-130 CE), and the Antonine Wall (142-144 CE). Although the Gask Ridge was not an unbroken defensive wall, it may be Rome’s earliest fortified land frontier based on forts and watchtowers along a military road. Blocking the glens with garrisoned forts disrupted the Caledonian tribes ability to raid the fertile lowlands and effectively created a border between Roman occupied lands and the north and west. This Roman land frontier stretches from just north of Stirling up to Stracathro. The frontier comprises of a series of Roman forts and watchtowers, with a legionary fortress near Blairgowrie. Archaeologists under the direction of Stephen Rowland and John Zant of the archaeological research institution, Oxford Archaeology North, U.K, will be excavating and investigating the remains of a large Roman settlement associated with the nearby Roman fort of Alauna near the northwestern U.K. coastal town of Maryport. While much has already been excavated of the nearby fort (where another key excavation, known as the Roman Temples Project, is currently taking place), much less is known of this settlement site, located just northeast of the fort remains. 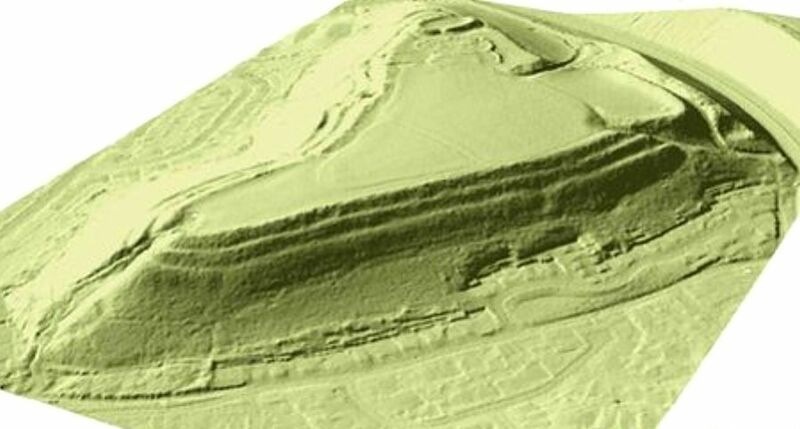 Geophysical surveys have revealed detailed physical clues, including the tell-tale lines of buildings which archaeologists suggest may possibly have been houses and shops adjacent to both sides of what appears to have been the main street extending from the northeast gate of the fort. Thought to be an ancient civilian settlement, it is considered the largest currently known along the Hadrian's Wall frontier. Report the archaeologists, "The excavation should provide an excellent opportunity to examine the date, complexity and uses of these structures, as well as revealing aspects of the daily lives of the people who lived there". 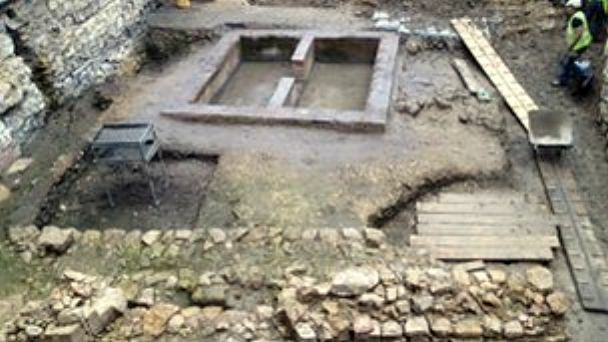 A Roman townhouse is probably located underneath Lincoln Castle, according to archaeologists digging at the site. The team have already reached the foundations of the Norman phase of the castle during their work. 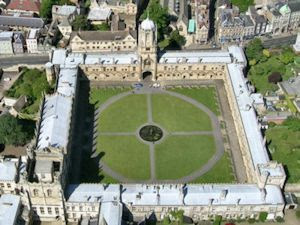 Archaeologist Cecily Spall said the dig had reached a depth of 3.5m with another half-metre of digging left to complete. The area is being excavated prior to a revamp of the castle. "We have been working since September - and have reached the level of the Norman castle - from the mid 11th Century," Ms Spall said. She said they had found evidence of timber-framed buildings which may have been part of a medieval stable block. "We expect we will find a Roman townhouse at about 4m depth below ground level," she added. All around the hull of the longest Viking warship ever found there are swords and battle axes, many bearing the scars of long and bloody use, in an exhibition opening in Copenhagen that will smash decades of good public relations for the Vikings as mild-mannered traders and farmers. "Some of my colleagues thought surely one sword is enough," archaeologist and co-curator Anne Pedersen said, "but I said no, one can never have too many swords." The exhibition, simply called Viking, which will be opened at the National Museum by Queen Margrethe of Denmark on Thursday, and to the public on Saturday, will sail on to to London next year to launch the British Museum's new exhibition space. The remains of a 1,500-year-old thermal Turkish bath (hamam) have been uncovered during an excavation of a thermal tourism center in the Aegean province of Denizli. According to the Ministry of Culture and Tourism, Turkey’s Housing Development Administration (TOKI) is continuing an urban transformation for the thermal tourism center in the Karahayıt province of Denizli. The excavations in the settlement area started two months ago. There were two different constructions found in the same area. One is a Turkish bath with circular architecture and the other is a thermal structure. Governor Abdülkadir Demir, who was investigating the area, said that the constructions for the thermal tourism center planned for the Karahayıt region were continuing. There is an urban transformation project run by TOKI in this context. There is also an excavation taking place in the area for the saving of the historical artifacts found in the area. Artefacts from the African Middle Stone Age (MSA; ∼200 to ∼50 ka), provide us with the first glimpses of modern human art and culture. Approximately 50 ka, one or more subgroups of modern humans expanded from Africa to populate the rest of the world. Significant behavioural change accompanied this expansion, and archaeologists commonly seek its roots during this period. Recognizable art objects and “jewellery” become common only in sites that postdate the MSA in Africa and Eurasia, but some MSA sites contain possible precursors, including abstractly incised fragments of ochre and perforated mollusc shells interpreted as beads. Was population growth the driver of change? Researchers had previously theorised that it was an increase in population that drove behavioural innovations which in turn led to the creation of these artefacts and eventually, the expansion out of Africa. However, by examining mollusc shells from Stone Age sites, Richard Klein of Stanford University and Teresa Steele of University of California, Davis, have determined that a significant population increase did not occur until the Later Stone Age (LSA), after the out of Africa migration had already begun. Their research appears in the June 2013 edition of the Proceedings of the National Academy of Sciences. Sauvons le Pont des Trous de la destruction!